I was back in Vancouver for a brief stint shooting the final game between Canada and Italy. Canada made history with a win over Italy and has now qualified for the semi-final and will face Serbia in September. 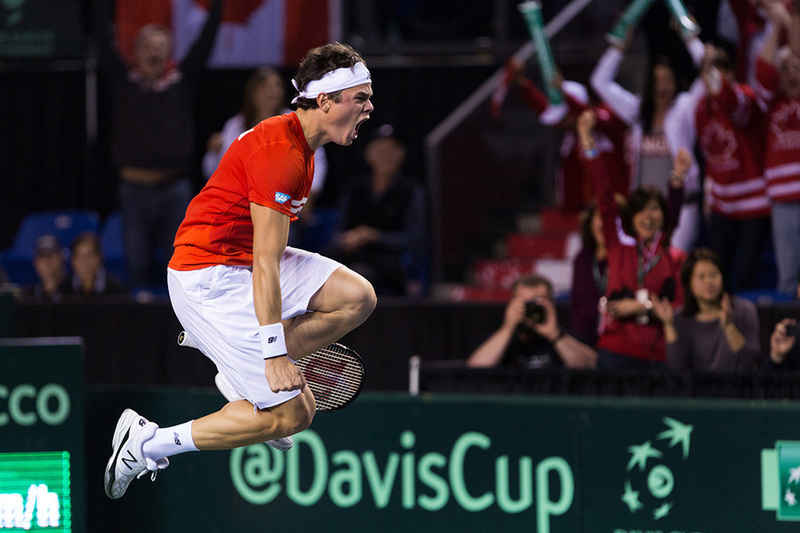 The photos in this series put focus on Milos Raonic but he didn't do it alone. 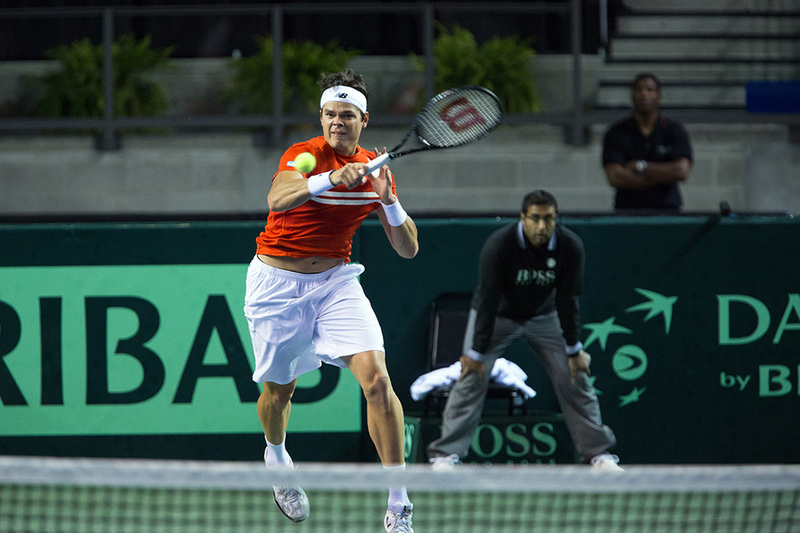 In the doubles game on Saturday Vasek Pospisil and Daniel Nestor paved the way with a nail biting 5 set victory. 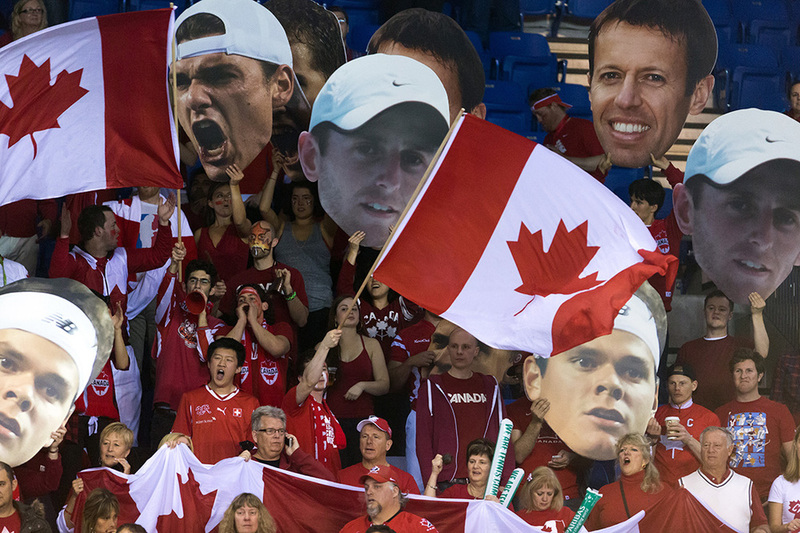 Vancouver, April 7, 2013 – The Miele Canadian Davis Cup team has defeated Italy 3-1 after the third day of play in their Davis Cup by BNP Paribas World Group quarter-final tie taking place at the Doug Mitchell Thunderbird Sports Centre at the University of British Columbia in Vancouver. Entering the day, Canada was up 2-1 thanks to one singles victory and a win in doubles, and Milos Raonic (Thornhill, Ont.) 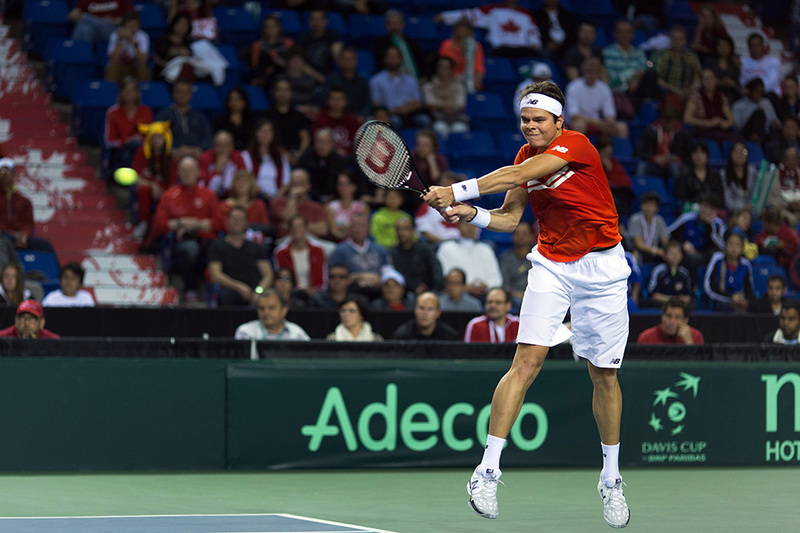 was able to clinch Canada’s first-ever semifinal berth as he defeated Andreas Seppi 6-4, 6-4, 3-6, 7-5. Raonic also captured Canada’s first point of the tie, as he won the second match on Friday over Fabio Fognini 6-4, 7-6(4), 7-5. The doubles duo of Daniel Nestor (Toronto) and Vasek Pospisil (Vancouver) then put their country up 2-1 on Saturday thanks to an incredible four hour and 27 minute 6-3, 6-4, 3-6, 3-6, 15-13 triumph. Because Raonic’s match on Sunday went four sets, the fifth rubber was not played.